With the Cloud Cam app, you can access your Cloud Cam feed, anywhere you go. 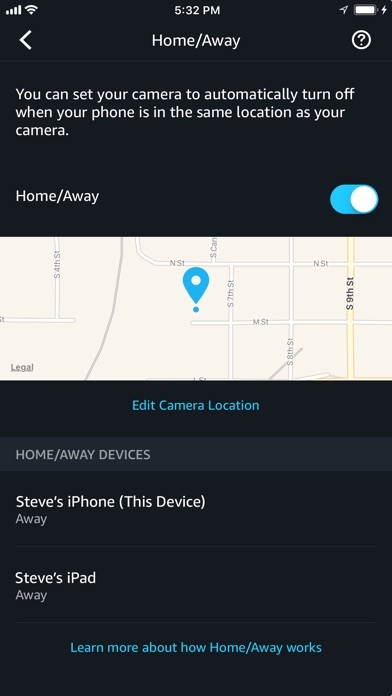 Use the Cloud Cam app to check in 24/7 and catch every activity. Replay important activities that were captured throughout the day. Name your cameras to easily differentiate monitoring views, like the kitchen vs. the living room. Listen in or let your kids know when it’s time for bed with two-way audio. You can even customize alerts by highlighting zones that are most important. 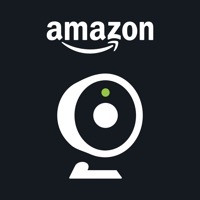 Catch every moment Amazon’s indoor security camera features everything you need to help keep your home safe. With Cloud Cam, you get only the alerts that matter. As soon as activity is detected you’ll be notified through real-time notifications, allowing you to keep a tab on your home from anywhere. 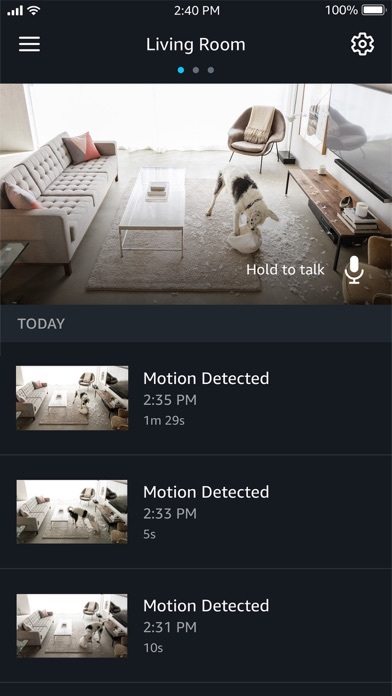 24/7 monitoring Stay connected 24/7 to your home, family, and pets in crisp 1080p HD, and catch activities as they happen. Cloud Cam captures up to 30 frames per second, ensuring every moment is secured. Use the Cloud Cam app to drop in on your home anytime by viewing live video streams, replay motion alert videos, and more. See clearly in the dark Cloud Cam features eight infrared LEDs that let you see clearly in the dark. Cloud Cam’s computer vision algorithms automatically activates night vision when lighting is dim. See the entire room throughout the night—not just a spotlight. Two-way audio Cloud Cam’s built-in mic and speaker lets you stay in touch with your household. Check in with the kids after school, tell your dog to stop barking, or say hello through the Cloud Cam app. Intelligent alerts Cloud Cam’s computer vision algorithms analyze video clips in real time. Unlock additional features such as person alerts to get notified when someone’s actually there. Zones lets you set areas that Cloud Cam should ignore, like a fish tank or a tree outside a window, so Cloud Cam can focus on activities you care about. And since Cloud Cam’s intelligence lives in the cloud so it automatically adds new features and functionality. The cameras and the monthly subscription plans are less expensive than Nest cam, and otherwise features seem similar. So in general I'm happy with the cam and the app. But there needs to be a way to filter the list of video clips, for instance so that I can see only clips where a person was detected. I also would like the app to show a snapshot from the video when I'm notified on my Apple watch; I know this is doable since the Amazon shopping app shows product photos on delivery notifications on the watch. -With how crazy the world is and is going to continue to be, 2 step authentication should be a given to login to this app given the sensitive nature of what it can see/hear. 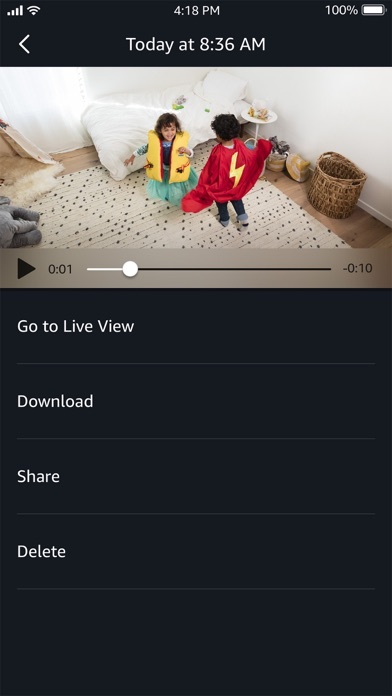 -Would like to be able to see a time log within the video or show the recorded time when you download the video onto your device. Bought two cameras months ago. Ever since then, the taping on one camera has always worked but not on the second camera. Hit or miss. Support is a bad joke. I have more expensive Nests. They work all the time. At first this camera was excellent. Lately it seems to consistently have trouble connecting. We use it for our kids room, but I can never see a live view because it just buffers while trying to connect, then eventually closes down. It’s very frustrating. So at this point I can only watch in playback mode but rarely in live mode. I have an iPhone XR so not sure if it’s an issue with iPhone or not. My husband doesn’t seem to have this issue on his galaxy phone. Worked great till this past update. Now live video will not load while on cellular. Works fine if the phones are on WiFi. New update doesn’t jive with ios fix it!! Be very careful if your password is hacked or you forget to log out of a device ... Your account info stays locked into that app and will continue to work even if you change your password!! Very very unsafe !! Even with home/away off, cloud cam is now consistently the number one consumer of energy on my phone.